This post was sponsored by TULA Probiotic Skincare and all opinions are my own, as always. Ladies – we’re all in for a major treat today! Or rather, our skin is (especially if you tend to struggle with breakouts and acne, like I do!). Not to worry, as treats in the form of food are coming soon, as per usual! I’ve battled oily/combination skin and acne since I was 10 years old. Yup, 10! Old photos don’t lie. Hormones can be relentless! You’d think now at the ripe old age of 36 I’d have won the battle, but nope! I’m still dealing with twice monthly breakouts for the most part, although since cleaning up my diet and skincare routine, the blemishes have definitely become less bothersome. 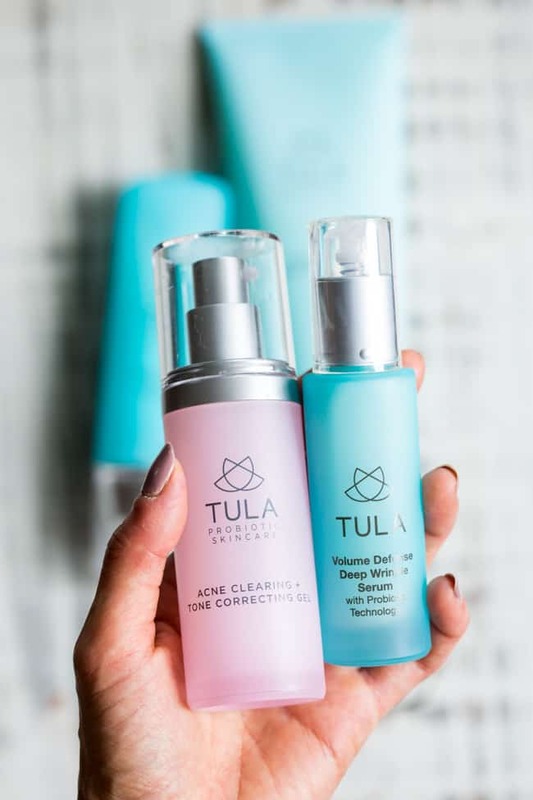 So here’s the good news – my favorite probiotic skincare line, TULA, has just come out with a product that’s specifically geared to clear up acne and improve your skin tone. If you’re not already familiar with TULA, I encourage you to read this post all about my skincare routine and favorite products. 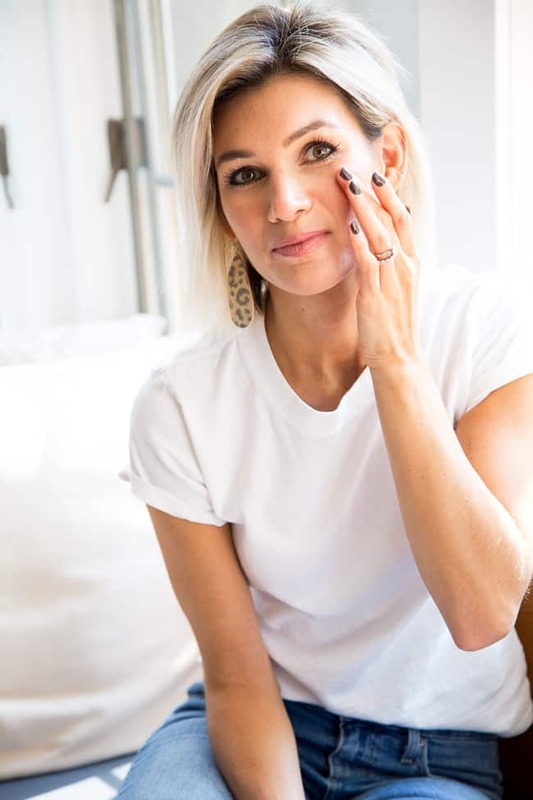 You can also check out my summer beauty faves post which highlights everything I used to battle oily skin and wrinkles this past summer. In a nutshell, all TULA products contain probiotics to help balance our skin in the same way they help balance our guts when we consume them. I’m ALL about probiotics to target problems in the gut and I’ve been really pleasantly surprised with the amazing effects they’ve had on my skin since I’ve committed myself to using TULA. My skin is smoother, more even if tone, with a visible improvement in those pesky deep forehead lines PLUS less acne over the course of the month. See the products below? They’re my skins’ saving grace! Although it’s cruel that so many of us are dealing with wrinkles and blemishes at the same time, it’s a reality that I’m thrilled TULA has addressed, and, MAN they’ve totally nailed it! 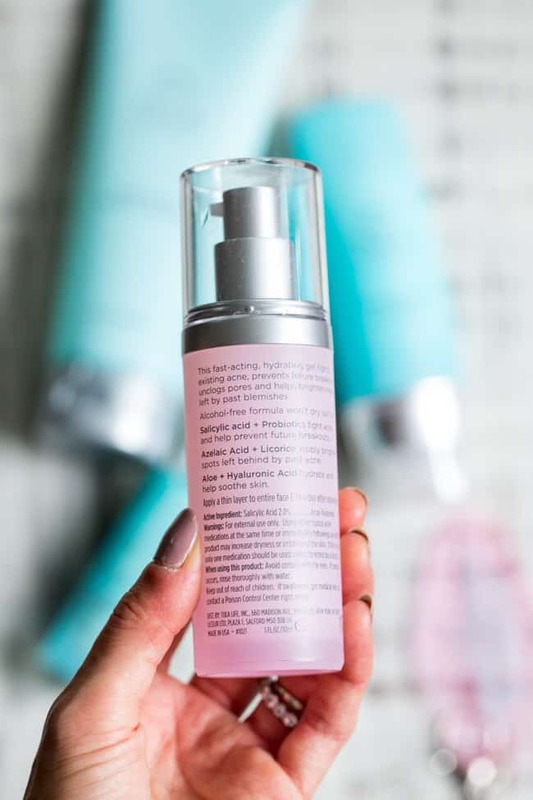 I spoke a lot about my love for the deep wrinkle serum here, and I’m excited to add the acne clearing gel to my skincare routine along with the purifying face cleanser and oil free gel cream. All products are great for oily and acne prone skin as they’re light and add moisture without grease. The gel itself is applied twice daily after cleansing, and is lightweight and clear. Salicylic acid + Probiotics fight acne and help prevent future breakouts, while azelaic acid and licorice brighten the spots left behind by past acne (YESSS!). Aloe and hyaluronic acid hydrate and help sooth your skin, and the formula contains no alcohol and isn’t drying like many acne products are. Basically, TULA has thought of everything we need, and is now giving us a product to help reveal our smoothest, brightest skin yet. Ready to try it out for yourself?! Awesome, because I have a discount code for you to use on the TULA website – just type in the code PALEOMAMA at checkout for 20% off your order. I highly recommend checking out their starter kits too – there’s something wonderful for every skin type, PLUS you get to test the products out to see how they work for your skin. I hope you’re having a great start to the week! I’ll be back tomorrow with a yummy paleo fall baking recipe that even the nut-free crowd can enjoy – see you then!